Patients and medical professionals from America and around the world seek out his specialized best in class individualized ovarian cancer surgery treatments and services including his expert surgical management of the patient’s condition. Patients referred to Dr. Alden with Metastatic Ovarian Cancer have access to a vast array of specialists who are some of the best in their field in the country (and possibly in the world). Ovarian cancer typically spreads (metastasizes) throughout the abdomen and is generally seen as small, progressively growing tumors on various organs and structures. Invasion of the liver occurs in two different ways. One is implantation of the tumor on the surface of the liver. Once the tumor roots reach the abundant blood supply of the liver, the tumor grows rapidly. The other type of invasion is the actual seeding of the tumor inside the liver, with a progressive increase in size. It is a well-known fact that once the individual tumor of ovarian cancer has progressed beyond 1 cm in size its response to chemotherapy is dramatically diminished. In many other types of cancers, presence of the disease beyond the liver is considered a strong contraindication for liver resection. In the case of ovarian cancer, many experts consider a debulking procedure (decreasing the number of cancer cells) to be the standard of care. The “debulking procedure” is also commonly referred as cytoreductive surgery in various medical publications. For a typical advanced case it is reasonable to expect that should liver resection be necessary, other GYN and surgical oncology procedures might be performed at the same time. Having multiple teams from different surgical specialties involved in the same operation is a standard practice. It is imperative that all the doctors involved clearly understand the subtle but important special aspects of this disease. For example, ovarian cancer cells tend to trigger fluid build-up (ascites) in the abdominal cavity. Presence of fluid slows down healing of intestinal connections, damages the ability of the liver to stop bleeding even from a small puncture site, and would prevent even the tiniest postsurgical leak of bile from healing. Keeping this in mind, only experienced liver surgeons and surgical oncologists should be involved in the care of patients with these highly complex cancers. We routinely team up with a very experienced group of GYN oncologists to perform these difficult surgeries. When the ovarian cancer has minimal spread or the metastases are limited to one small area, minimally invasive surgery is possible. Robotic or laparoscopic GYN surgery has rapidly become the standard of care. Until recently, patients even with a single small area of metastatic disease in the liver or pancreas had to undergo a large open surgery. Today, because of our extensive experience in laparoscopic and robotic surgery, we are capable of performing liver and pancreatic procedures for ovarian cancer using these minimally invasive techniques. We often combine these surgeries with primary GYN procedures at the same time, thus speeding up the recovery and, most importantly, giving the patient the opportunity to begin systemic chemotherapy much sooner than before. 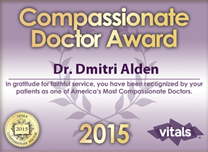 In addition to office based consultations, Dr. Alden offers remote consultations to patients and medical professionals anywhere in the world via phone or SKYPE. Please follow this link to learn more: remote consultations for metastatic ovarian cancer surgery. Please phone Dr. Dmitri Alden’s NYC office (212) 434-6216 for details pertaining to remote consultations for Metastatic Ovarian Cancer. For more information on Metastatic Ovarian Cancer or for a consultation please feel free to contact the NYC Liver, Pancreatic & Bile Duct Oncological Surgeon, Dmitri Alden, MD, FACS, today by phoning his New York office (212) 434-6216 or emailing the surgeon at contact@liversurgeryny.com.